Here is a great plan. 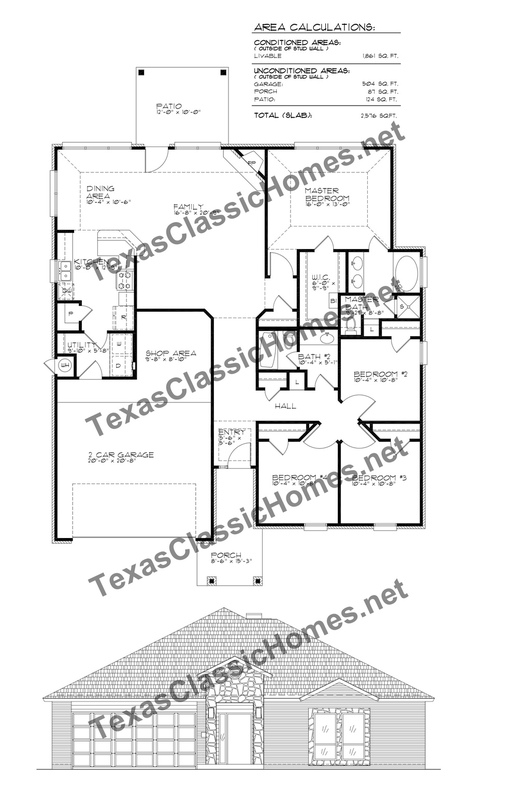 Large Family Room and a cool way to enter bedrooms 2,3,and 4. The stone on the front entry is a nice touch. Tall ceilings and windows make the living dining area inviting. Rustic fireplace and high ceilings accent this generous living room. Tall front entrance is impressive.